Yes, the space IS absolutely stunning. A century building on Bloomfield’s Main Street, with its intricate details beautifully preserved and light airy decor to complement. 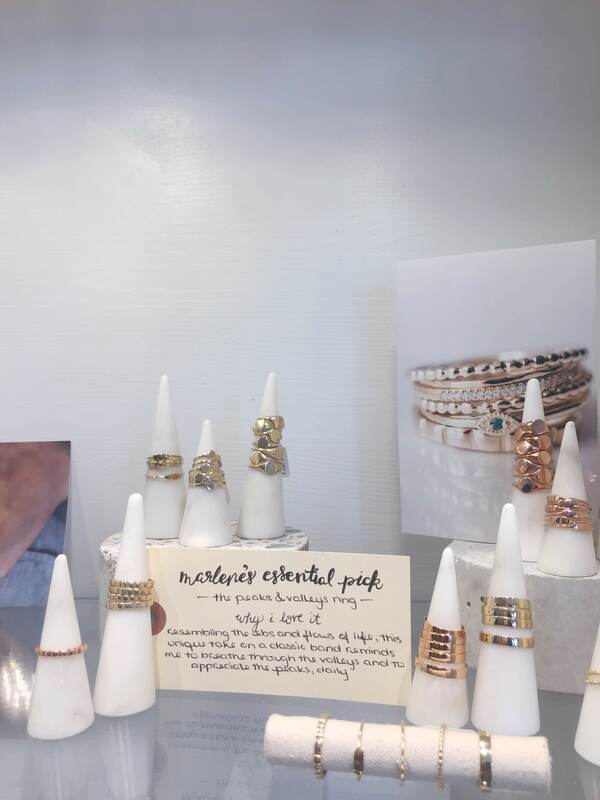 The space holds lovely one-of-kind pieces in gold, rose gold and silver accented with unique stones but it also holds a warmth that I can’t do justice through a few filtered Instagram images. When I meet co-owner, Cheryl, it all makes sense! She greets me with a hug, her warmth is contagious and shines through her amazing staff, Marlene and Chloe. 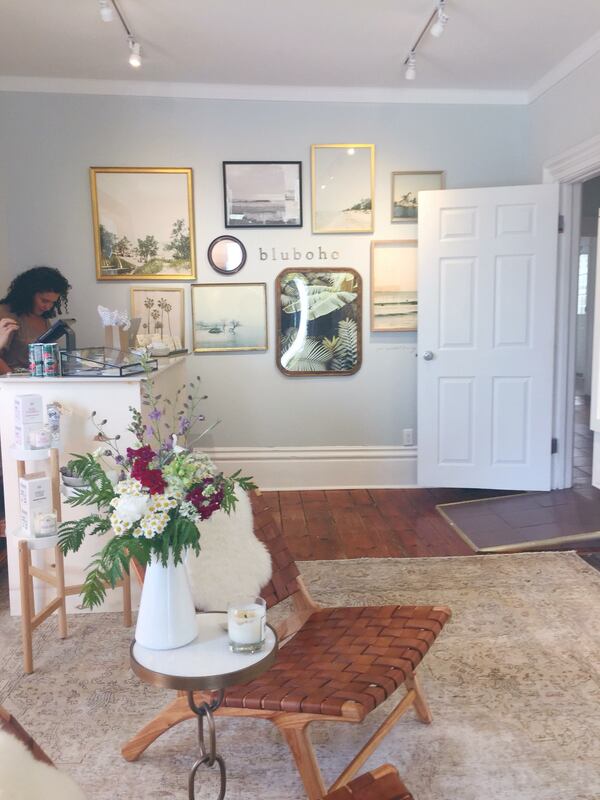 Cheryl opened Bluboho in Oakville just eight years ago and since they’ve opened three more shops, including this latest spot in Bloomfield. 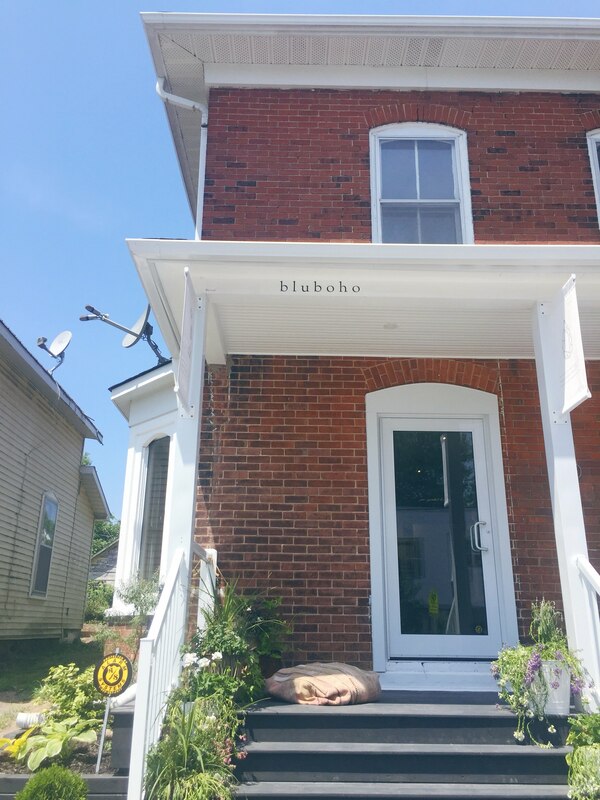 Owners Cheryl and Maggie’s philosophy shines through Bluboho’s line of precious pieces as well as the pieces from artists they’ve curated from travelling. The basic meaning is that life persists and jewellery can be a way of marking each milestone – good and bad. A piece of jewellery can be a reminder of an amazing milestone, a reminder of how tough you were through a challenging time or a reminder to find strength during a challenging time. Every piece has been chosen thoughtfully and with intention and to me that went above and beyond my expectations! Pieces from the Bluboho line are designed and made in Canada. The lines they carry also carry a story of how they came across each artist and how they align with their aesthetic and intention. In terms of price, pieces range. I see pieces in the $30 range and pieces featured in their Beloved line (think engagement rings and wedding bands) are in the $5,000 ballpark. Next time you’re in Bloomfield, pop in for a visit. jewellery-collector, or not, you won’t be disappointed!